Thomas C. Meyer is the Chief Executive Officer for Meyer Capital Group, a fee-only investment management and financial planning firm dedicated to helping their clients build wealth through a consistent, disciplined investment process. Tom learned from his grandfather who founded the firm in 1963. He was a fee-only fiduciary more than fifty years ago, truly a pioneer. Tom Meyer joined the firm in 1982 and began his career constructing investment portfolios and managing client assets. By 1987, Tom took over the firm and while continuing to focus on providing clients with outstanding customer service, he began preparing the company for change. Tom also had the foresight to see the potential growth of alternative investment strategies in the Investment Company Act of 1940 structure and how this could provide significant benefits to individual investors while reducing investment risk. For his efforts, Financial Advisor Magazine featured Tom as their cover story for liquid, transparent alternative mutual funds. Tom also saw the benefits of adding passive investments (ETF’s) along with active managers to lower costs and provide more tax efficiencies to clients portfolios. 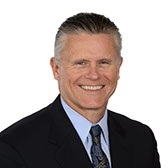 Tom has worked in financial services for 35 years specializing in portfolio management. Passionate when it comes to helping people solve their financial problems, Tom’s expertise includes his Accredited Investment Fiduciary (AIF®) designation and FINRA SERIES 66, not to mention a host of industry awards and accolades. Tom has achieved the “5 Star Advisor” rating with the Paladin Registry. He has also received the coveted Dalbar award. This prestigious seal is the voice of our existing clients and is awarded to financial professionals who have exceeded national benchmarks in the areas of trust, client satisfaction, quality of advice and financial results. Tom has been voted to the Barron’s “Top 100 Independent Advisors” list, Financial Times “FT 300 Top Registered Investment Advisors” and was recently ranked in the “Barron’s America’s Top 1200 Advisors” survey of over 4000 advisors. NABCAP voted Tom a “Premier Advisor” and awarded him the “Customer Service Star” in the Philadelphia Business Journal and he was named a “Five Star Professional” in Philadelphia Magazine. Tom has served on the board of directors for the Ronald McDonald House of Southern New Jersey, the South Jersey Chapter of Spina Bifida, Charles Schwab Advisor Network and on "The Dividend Growth Fund", formally a publicly traded mutual fund. Always active in his community, Tom devoted over 13 years coaching the Medford NJ youth football, lacrosse, and baseball teams. Tom is an avid sports fan who enjoys playing golf and loves working out at the gym. Business is his favorite topic, but Tom is also interested in politics and history. When away from work, Tom enjoys spending time at the beach with his wife and two sons.